Dodge attempted to curb dealership markups. It was kind of successful. 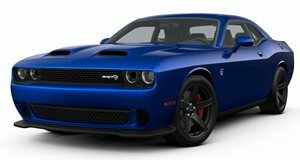 One of the hottest cars back in 2015 was the Dodge Challenger SRT Hellcat. Its suggested retail price was $59,995. Literally, no one paid that due to dealership markups, which often added thousands to the final price. When the street legal drag racer Demon hit the market in 2017, Dodge made a noble effort to curb those markups by coming up with a list of conditions dealerships had to abide by. A Demon Concierge hotline was also set up to provide direct communication between buyers and dealers. Unfortunately, these efforts didn’t work as fully planned, but they did make a difference. We asked Tim Kuniskis, former head of Dodge who lead Hellcat and Demon development and their respective market launches during his tenure (he’s now the global boss of Alfa Romeo) about those experiences and what lessons were learned. Regarding the complete prevention of Demon markups, Kuniskis admitted that "we tried but it didn’t work.” However, he also said the efforts bore positive results. The fact that a fairly large number of Demon buyers paid the $84,995 MSRP is impressive considering production was limited to just 3,300 examples. There were cases when people tried to sell their Demon build slots for thousands more than what they initially paid. 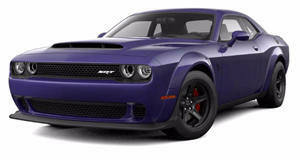 Some Dodge dealers even managed to find a loophole by using intermediaries on eBay to auction off the right to buy one of their Demon allocations. But as Kuniskis said, there’s sadly no way to completely avoid stuff like this from happening in the future. Given that many Demon buyers didn’t overpay is proof there are things automakers can do to, at the very least, reduce those crazy markups.